Bigneat manufactures and installs Clean Air Enclosure LAOP enclosures for protection of the operator from moving automated equipment and potentially hazardous fumes and particulates released from the enclosed process. LAOP’s high performance airflow system draws air through the HEPA and/or Chemcap carbon filtration system mounted in the roof of the enclosure. 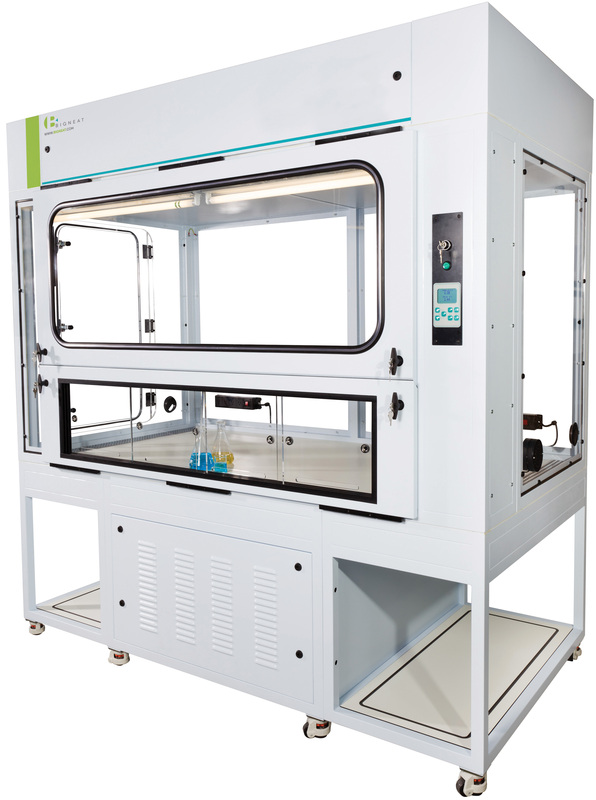 The enclosure is maintained at a slightly negative pressure with air entering the enclosure through slots at low level (>0.4m/s) and this protects the operators from aerosols and/or vapours such as solvents and DMSO released from the process. Used air is exhausted via outlet/exhaust filters back to the laboratory.